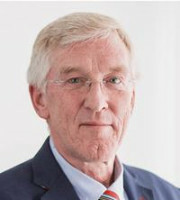 Ludwig Kouker studied law at the University of Marburg and obtained a doctoral degree from the Institute for Commercial and Economic Law, also at the University of Marburg. He wrote his doctoral thesis on “the addressees of the non-discrimination rule” of the German Antitrust Law. Since 1983 Dr Kouker has practised in the fields of trademark law, licensing law and competition law, including in litigation. Since 1989 he has been a partner of BOEHMERT & BOEHMERT. He has broad experience in the negotiation of out-of-court settlements, delimitation and licence agreements. He advises and supports clients in the strategic development and establishment of IP portfolios. Furthermore, he is specialised in IP law matters relating to antitrust. Dr Kouker’s clients include consumer goods companies and retailers. He represents trademark owners before the German Patent and Trademark Office, the EU Intellectual Property Office, the EU General Court and the European Court of Justice, and litigates before all court levels – from the German courts to the Federal Court of Justice. Dr Kouker is a certified IP lawyer. He regularly publishes articles in legal journals. Since 2009 Best Lawyers International has continuously rated him among the top attorneys in Germany.